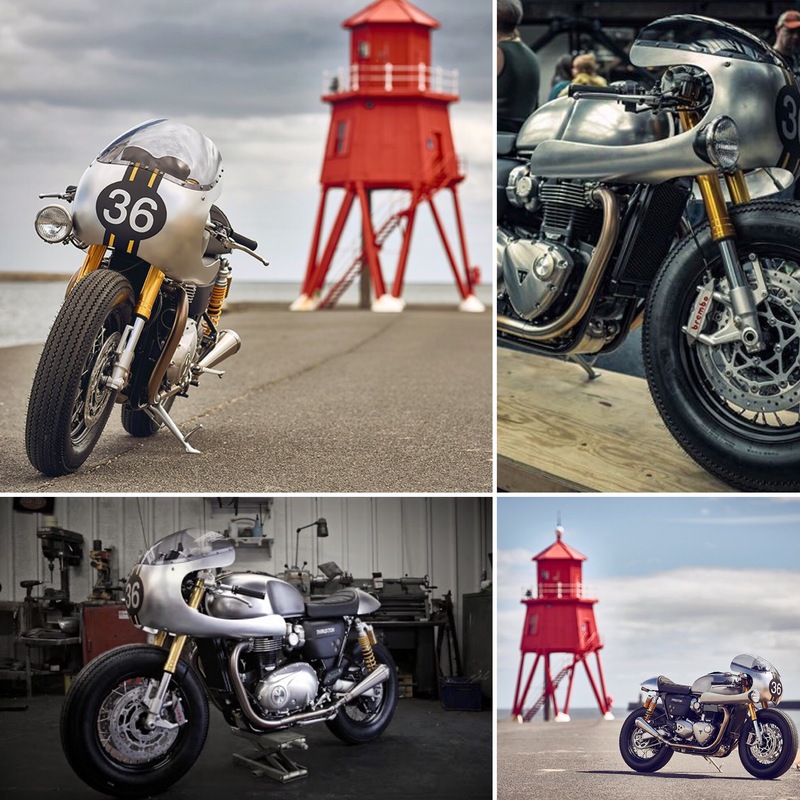 Thruxton Thursday – together with wax masters Barbour International, Triumph Motorcycles D&O Customs created a real road racer from the apparent superlative twin moto. It’s called BIT2 and in silver, black and gold looks a rear hoot! 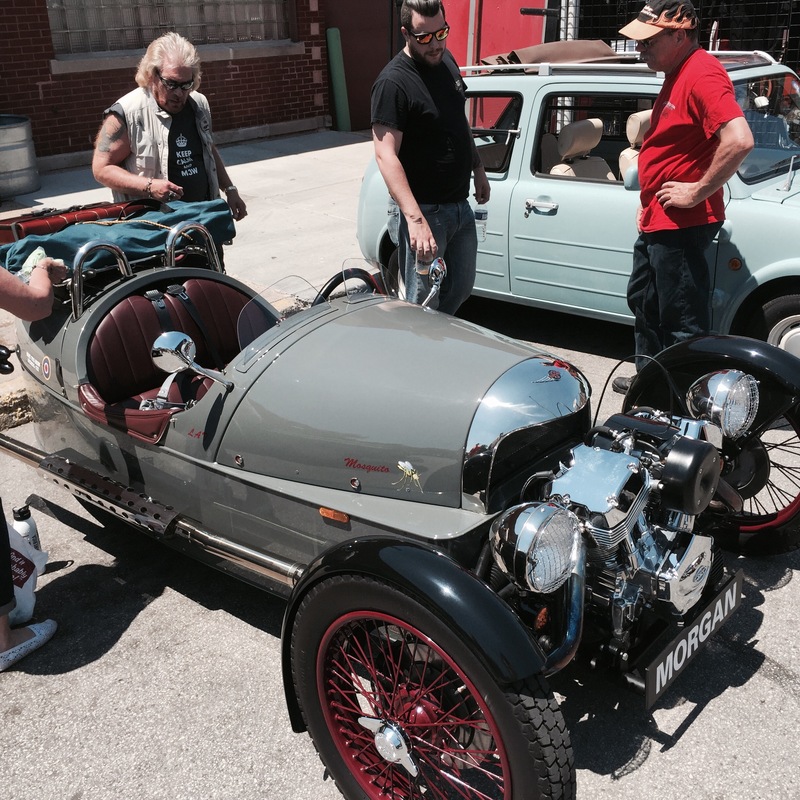 The Moggy – Tiger Cub takes her first tentative, and loud, paces along a Chicago alley. Rough engine but the gearbox shifted smartly up and down a couple of gears, clutch action light. 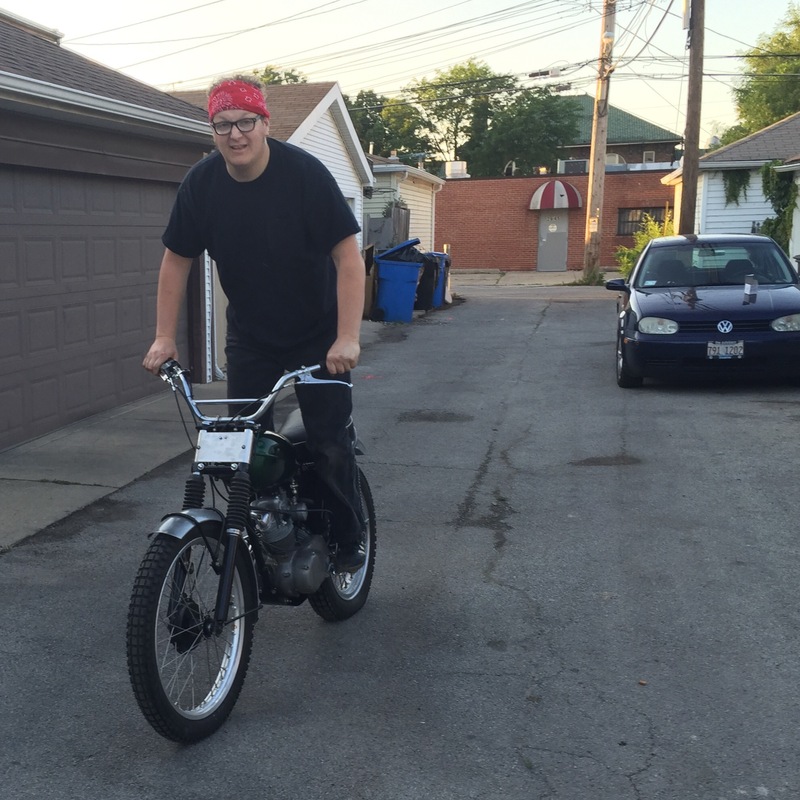 Who says we can’t start having fun with this bike? Cool Cockpit – I really liked this racing set up on a 450 Desmo Ducati. Everything is spare and just-so for track speeds. Tuck and put yer chin on the tank. 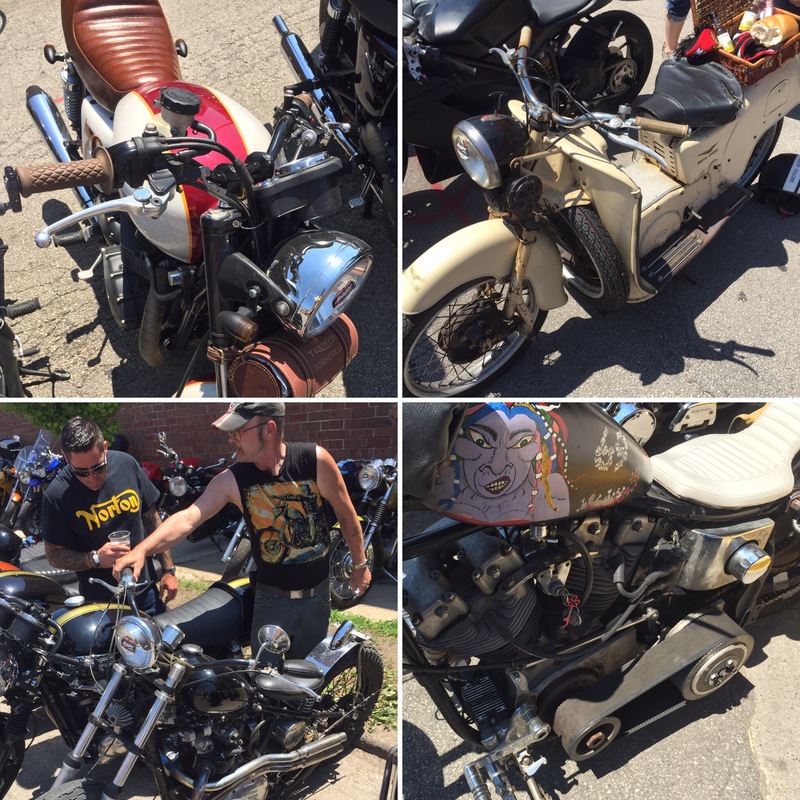 Motoblot – a hot, hot, hot day in the City. 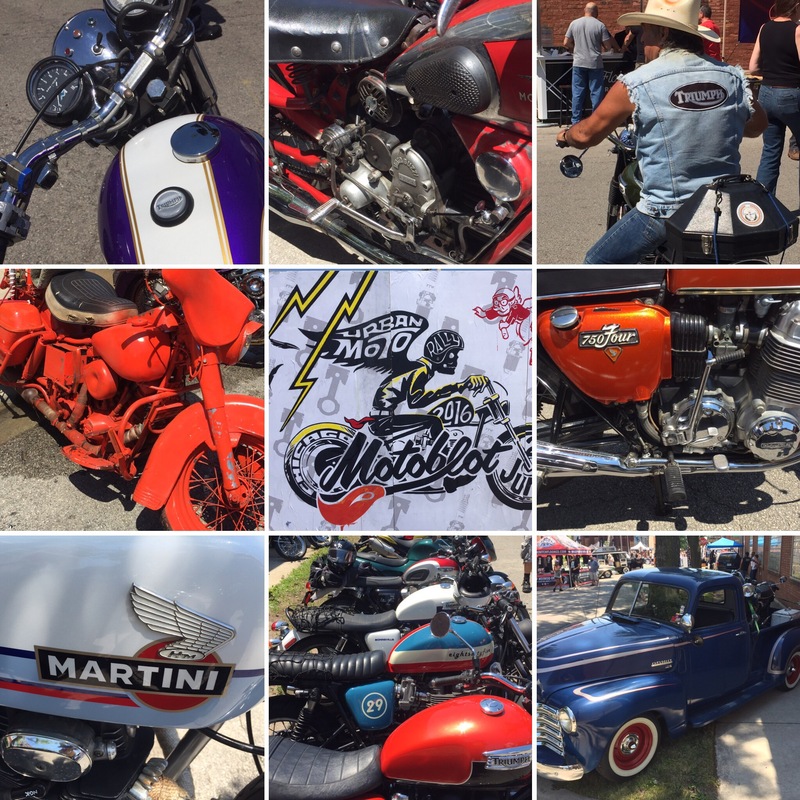 Winding through slow weekend traffic for an hour to attend the rockers biker gathering. 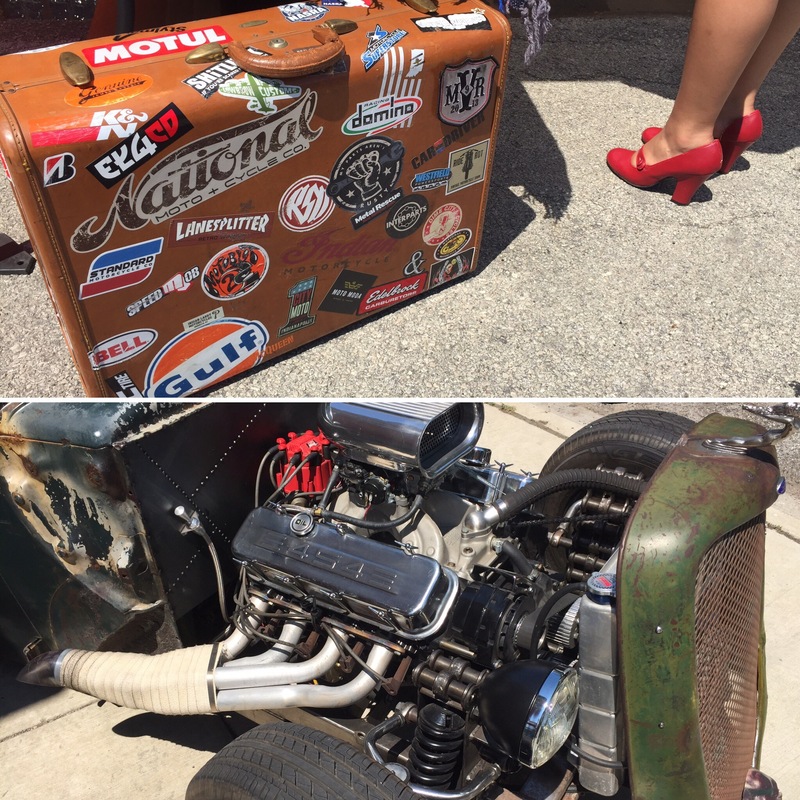 Music, pinup gals, local beer, hot rods, and bikes; hunnerts of bikes. No two alike, each individual. Love it! 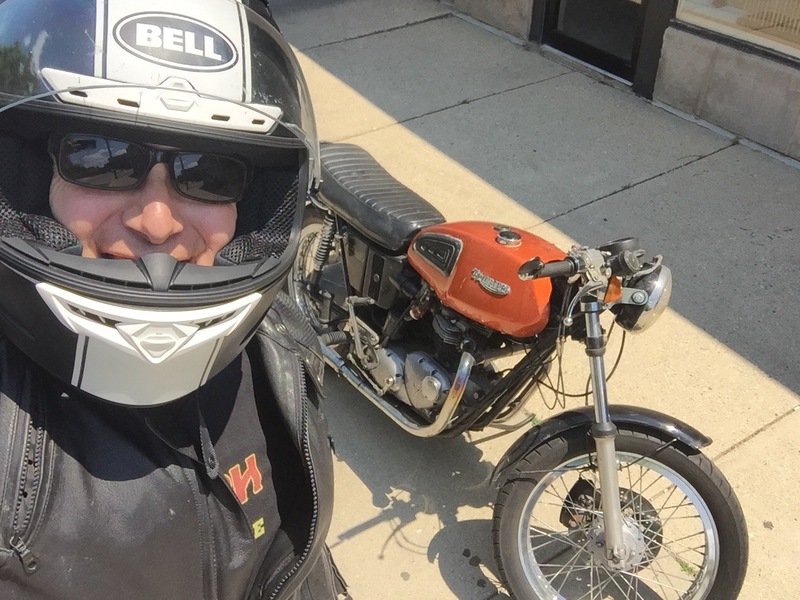 Rode home along Lake Street (under the long straight el tracks, a la French Connection) along Wacker Drive, padded along Michigan Avenue then a zoom north up Lake Shore Drive. 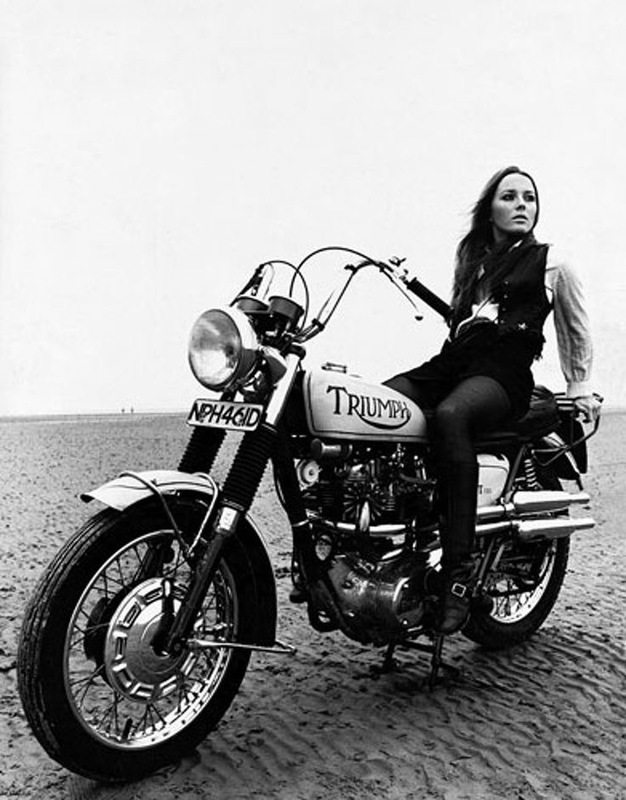 Bob Carlos Clarke born this day in 1950 was a prolific and influential photographer of the latter half of the 20th Century.- here his first wife Sue Frame poses languidly on a high piped big named TRIUMPH. 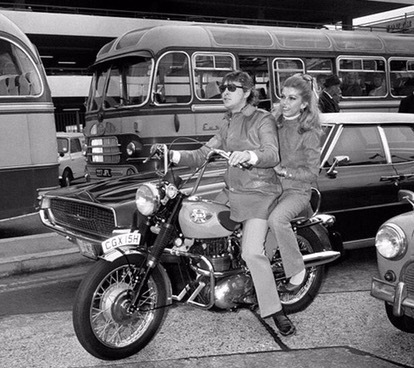 Boots made for Riding – record producer Mickie Most takes singer Nancy Sinatra on his BSA Shooting Star. Aptly named single the registration on the number plate signifies a’69 or ’70 model. She was in London to record The Highway Song. Gearbox buttoned up this evening. Smooth kicker action and crisp changing ‘clunk’. 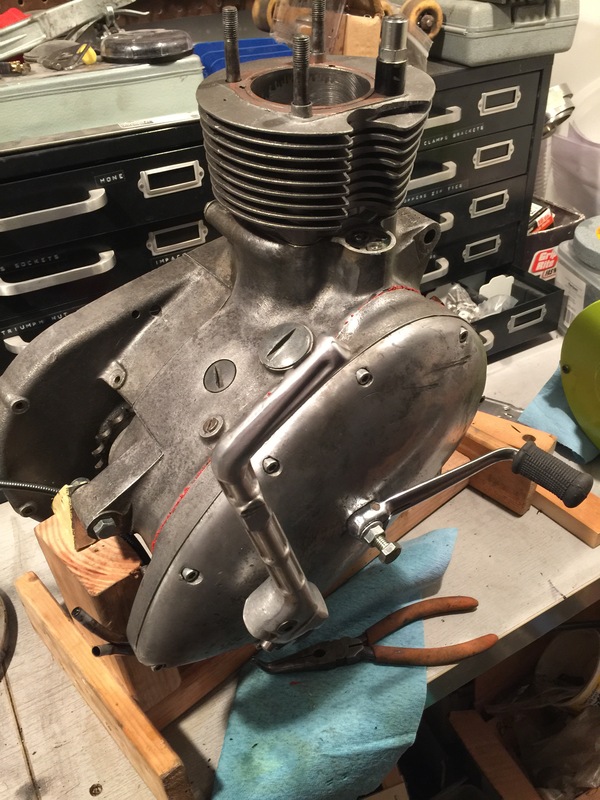 Just need to put on the head with adjusted valves then drop it back in the frame. Hopefully get a firing soon! 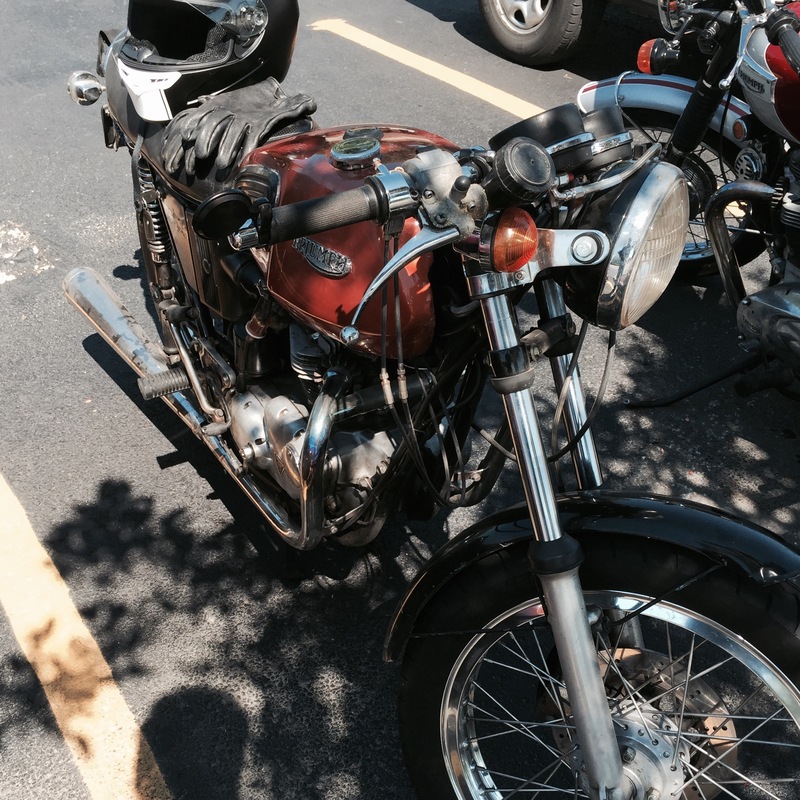 Dappled Shade: the motorcycle is running well and is looking good. 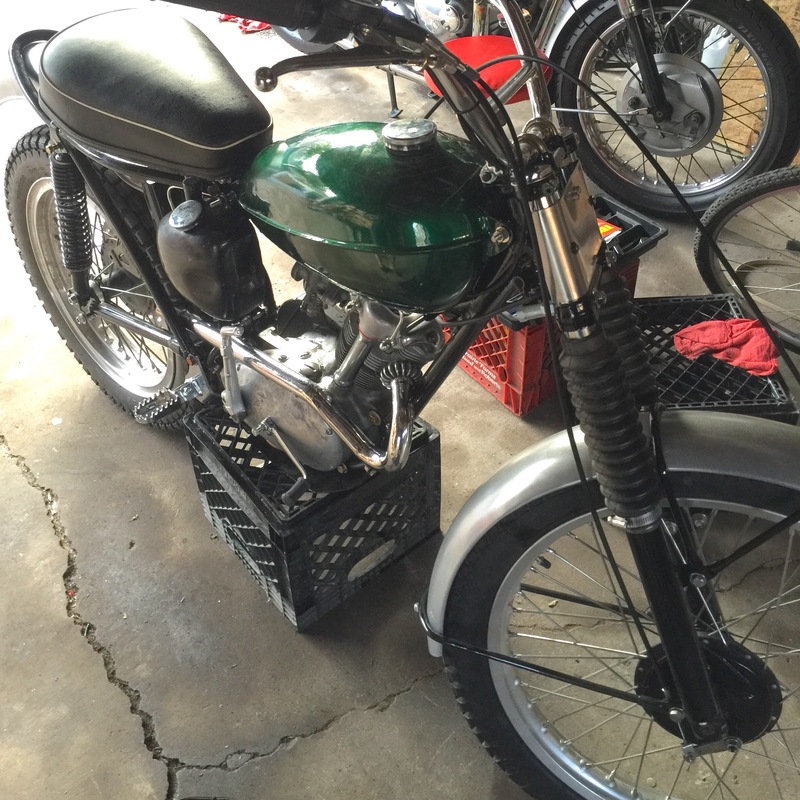 Let’s see if we can get a riding season without any mechanical of electrical gremlin’s! 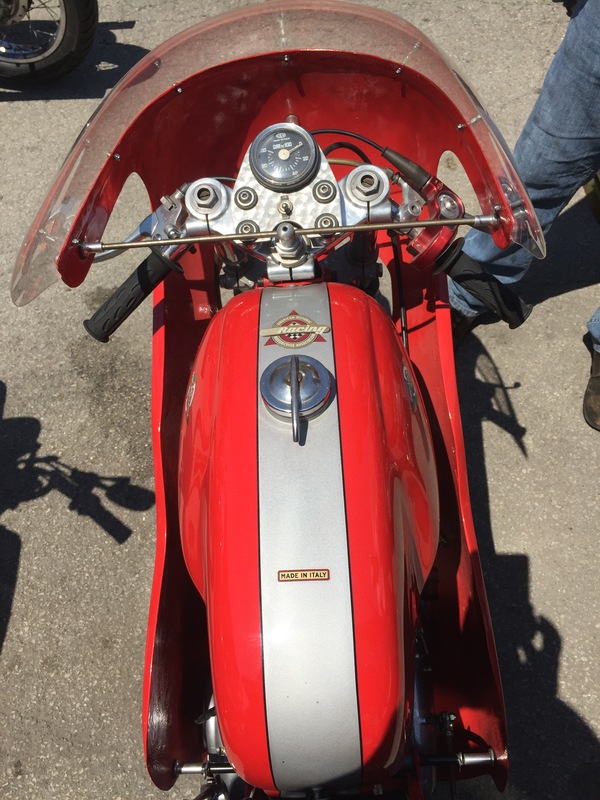 Midsummer Moto- a warming June Sunday morning saw a splendid 80 Mike round trip to the Wisconsin state line. A new leafy backroad through weekend-quiet commercial districts and horse farms was mapped. Pancakes ‘n’ coffee in Zion and back through the shady turns of Sherudan Road. The Other Triumph – a lingerie manufacturer that has been making intimate apparel since the 1880’s used a nice ribbon-like logo with crowning motif. 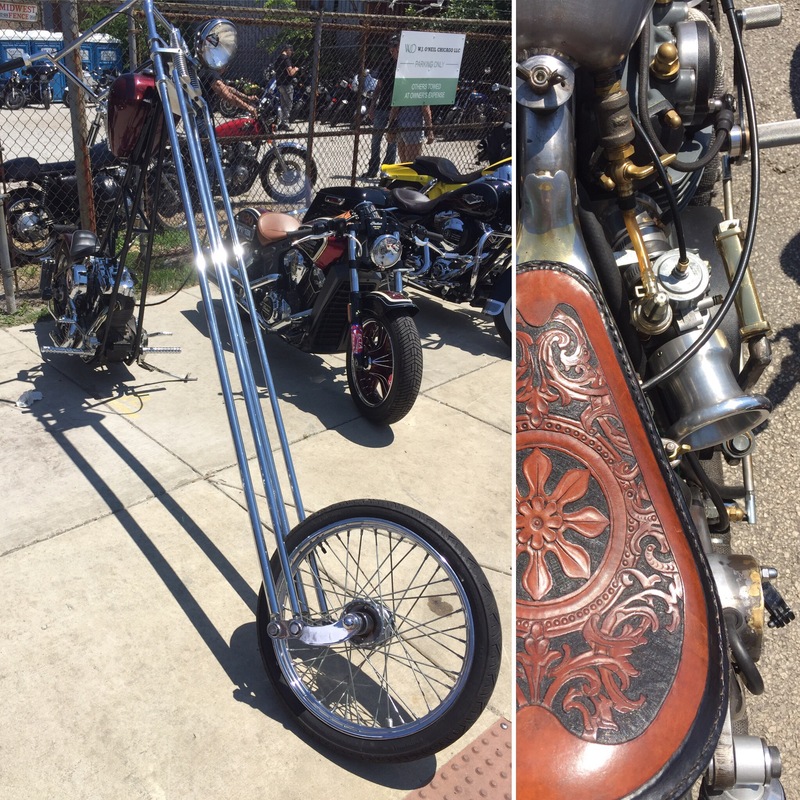 Our faithful motorcycle makers marque has been using a swooshing leg’d R for decades. A new bra and pantie maker jump on the latters look. 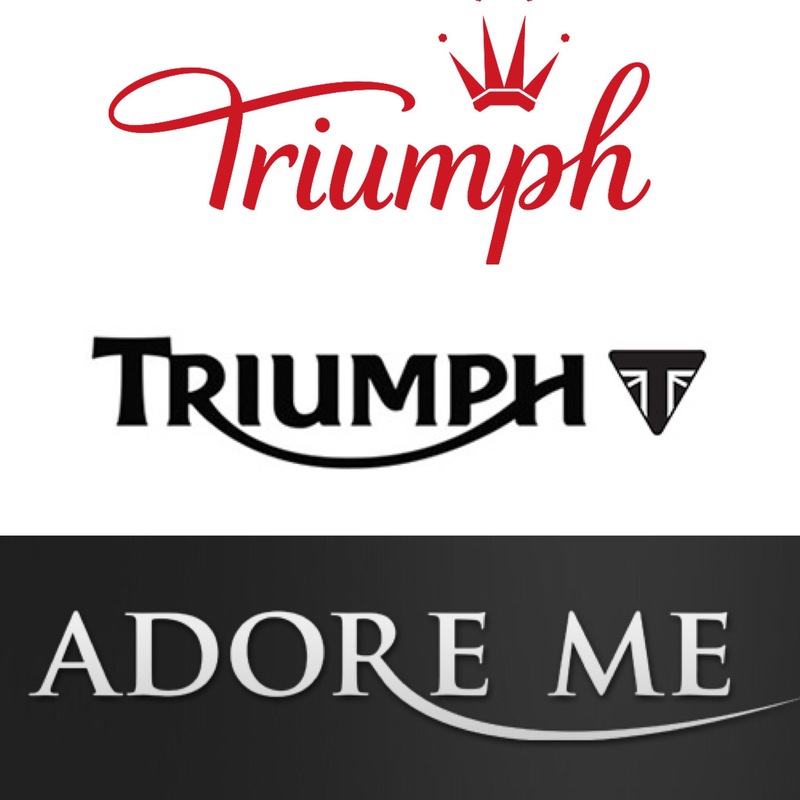 Adore Me – complete with swoosh… Trademark infringement? Schools out for summer: get on your scrappy jeans, don a pair of pumps and slip on your shades. T-shirt? Triumph of course!